Kate Middleton Terrifed Queen Elizabeth Plans To Abdicate On Christmas Day – Fears Camilla Parker-Bowles Takeover? Kate Middleton doesn’t believe that Queen Elizabeth actual plans to abdicate the throne on Christmas Day. The Duchess of Cambridge knows that Queen Elizabeth is a tough old bird who would do anything rather than see Camilla Parker-Bowles ascend the throne with Prince Charles. Kate Middleton can’t imagine The Queen voluntarily putting the despised Camilla Parker-Bowles in a position atop the British Monarchy. Kate would be terrified if she believed that The Queen was ready to abdicate! A Camilla Parker-Bowles takeover isPrincess Kate’s worst nightmare. According to an exclusive new report from The Royalist, big time British bookmakers have been making a series of surprising bets and ‘specific inquiries’ on whether the Queen plans to abdicate the throne on Christmas. Apparently, the big Christmas speech that the Queen always makes to the nation has already been recorded, and people have been falling over themselves to hear what it says before the big day arrives. Bookmakers have been wrong before, notably concerning the birth of Prince George and Kate Middleton’s second pregnancy. 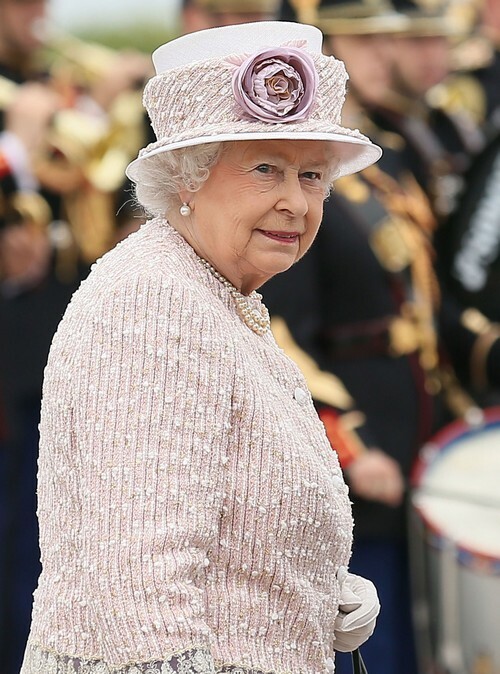 Plus, Queen Elizabeth has made it very clear that she’s not willing to abdicate – not now, and not ever. Yes, she’s growing older, and yes, she’s slowly starting to hand over more responsibilities to Prince Charles, but the Queen has dedicated her life to this job. I don’t think she knows how NOT to be Queen, just as long as she’s alive and capable and in full control of her mental facilities. Queen Elizabeth Fighting To Keep Kate Middleton Closer To Royals, Not Middletons?